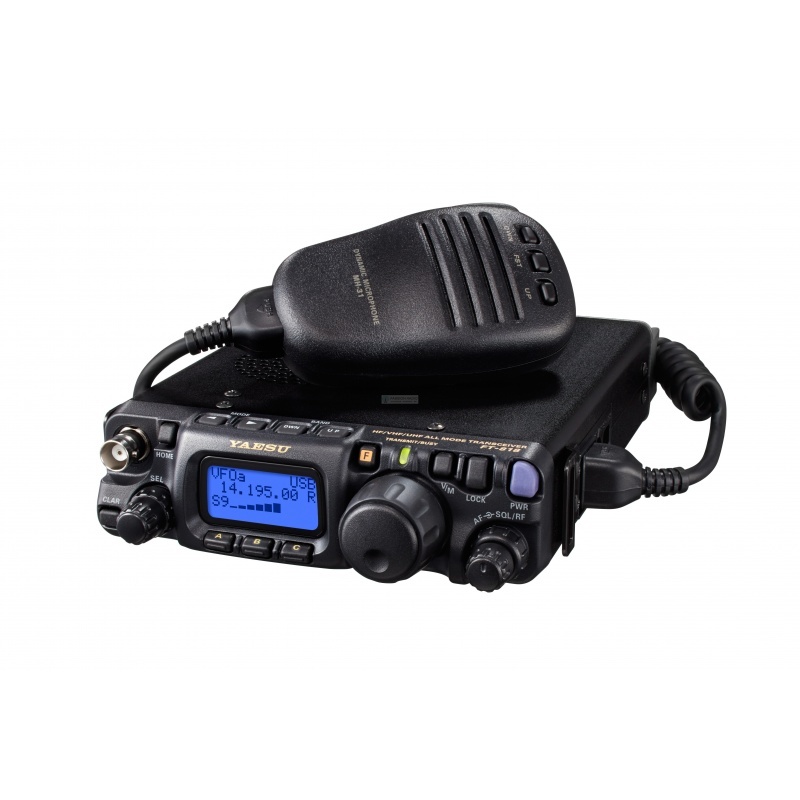 The new Yaesu FT-818 ND is the replacement of the famous QRP FT-817 ND from Yaesu. Compared to the FT-817, the FT-818 is equipped with a TCXO-9 and offers 6W on 13.8V and 2.5W power supply on built-in 1900mAh battery. The Yaesu FT-818 ND covers in reception the bands of 0.1 to 56 MHz, 76-108, 118-164 and 420-470 MHz and all amateur radio bands in emission from 160m to 70cm and in modes USB, LSB, CW , AM, FM, W-FM, AFSK (RTTY, PSK31) and Packet 1200/9600 bauds. 2 antenna connectors: a female BNC in front and a SO-239 (UHF female) to the back. Available in commercial version (open TX all bands). Comes complete with: 1 FT-818ND, 1 MH-31A8J microphone, 1 9.6V 1900mAh Ni-MH battery (SBR-32MH), 100-240V EU plug (PA-48) battery charger, 50/144/430 MHz antenna ( YHA-63), power cable (E-DC-6), shoulder strap, ferrite, rubber foot, user manual. Until April 30, 2019: 50 € refunded by Yaesu by returning the following form (subject to condition). 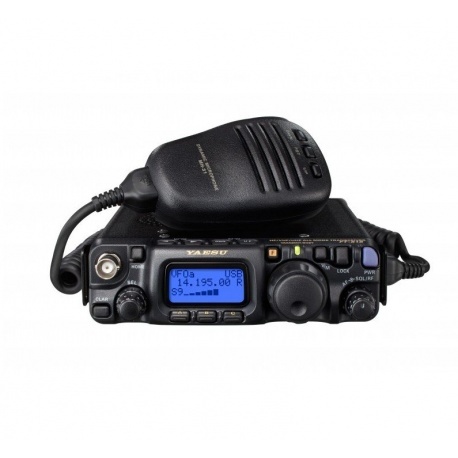 Description: The new Yaesu FT-818 ND is the replacement of the famous QRP FT-817 ND from Yaesu. Compared to the FT-817, the FT-818 is equipped with a TCXO-9 and offers 6W on 13.8V and 2.5W power supply on built-in 1900mAh battery. The Yaesu FT-818 ND covers in reception the bands of 0.1 to 56 MHz, 76-108, 118-164 and 420-470 MHz and all amateur radio bands in emission from 160m to 70cm and in modes USB, LSB, CW , AM, FM, W-FM, AFSK (RTTY, PSK31) and Packet 1200/9600 bauds. 2 antenna connectors: a female BNC in front and a SO-239 (UHF female) to the back. Available in commercial version (open TX all bands). Comes complete with: 1 FT-818ND, 1 MH-31A8J microphone, 1 9.6V 1900mAh Ni-MH battery (SBR-32MH), 100-240V EU plug (PA-48) battery charger, 50/144/430 MHz antenna ( YHA-63), power cable (E-DC-6), shoulder strap, ferrite, rubber foot, user manual. Until April 30, 2019: 50 € refunded by Yaesu by returning the following form (subject to condition).